We are glad to announce NetBalancer App and the release of NetBalancer Sync Service on a new dedicated website netbalancer.com. Visit netbalancer.com for the latest version or news about NetBalancer app and service. 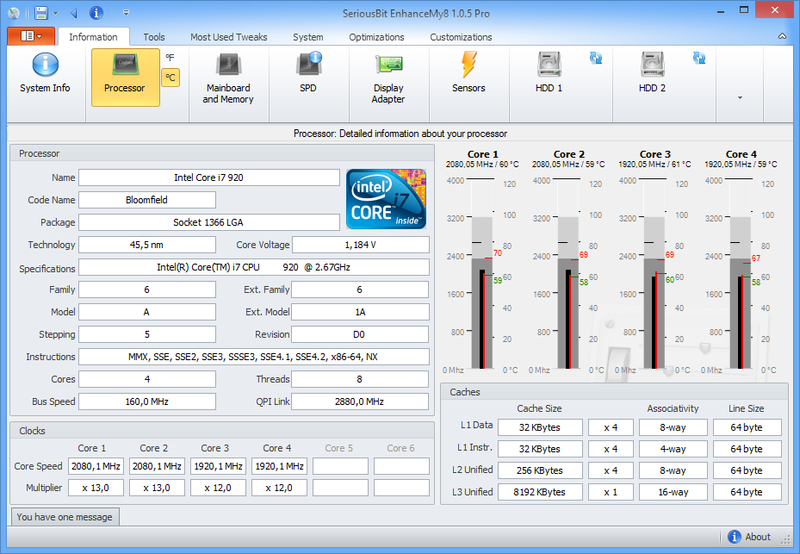 All registered users with licenses not older than one year get free upgrades to the latest version. Contains the list of all currently runnning processes along with a chart of the system network traffic. Set high network priority for your app. Shows the current network traffic. Rule your system traffic with Rules. Tweaks and tools for maintaining Windows 8 in top condition. The unregistered version is limited to monitoring only functionality. The main window contains the list of all currently runnning processes along with a chart of the system network traffic. 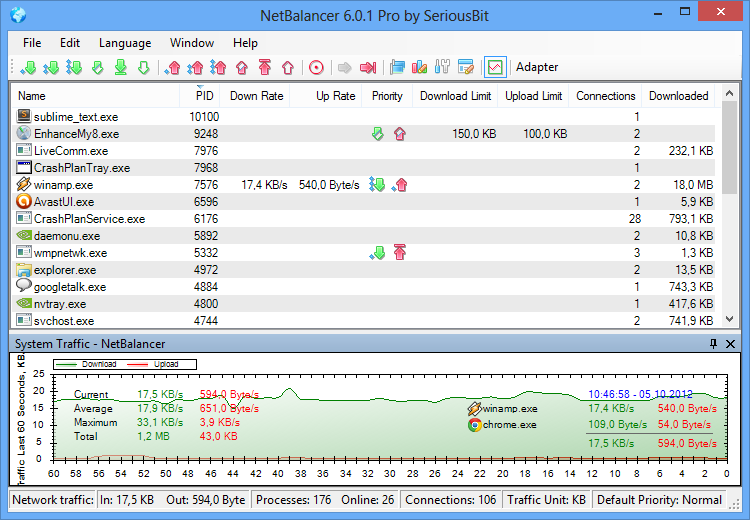 NetBalancer has a handy tray icon and mini-window that shows the current network traffic and provides some quick access commands. NetBalancer implements a powerfull rules system that allows you to finely tune your network traffic to get the best internet experience.